I've recently caught myself saying something when in conversations with people. It goes something like this: "I just can't believe that I get to share a wall with him." See I currently "share a wall" with Pastor Chris Lyons. Now that name may be mean nothing to you but to me it means something to me. I have worked with Pastor Chris for just over six years now and for the last two years Chris has been extremely helpful to me as a pastoral leader. Now you may not know but Chris has been in ministry for over 55 years now! He has served at only four churches during his time in ministry. He started out his pastoral leadership in a church called West Church which is located in Peabody Massachusetts where he served for 15 years. After growing that church he took a year off and then was asked to lead Wheaton Bible Church (yep, you read that right). Pastor Chris lead that church for 15 years also. From there he went to the Bay Area and lead a church called Redwood Chapel for 15 years. After completing his leadership at Redwood Chapel Pastor Chris came out to South Hills to help our church feel more like a church and less like a youth group on steroids. Pastor Chris was on staff prior to my invitation to join the team here and I am very thankful for his leadership. Most days in the office I spend about 15-30 minutes (sometimes longer) with Pastor Chris talking about ministry, leadership, counseling situations and life. I am so thankful to have a leader like Pastor Chris that I get to work alongside. The question I leave you with is: "Who do you share a wall with and what can you learn from them?" Maybe you are on the side of the wall like Pastor Chris is and you have some rad stuff to teach the younger generation. We need that! We need to have more seasoned leaders teaching us, training us and helping us as we follow God and seek to lead the lost to Christ. Favorite Quote: God wants to meet the caregiver at the place of his own deepest pain. 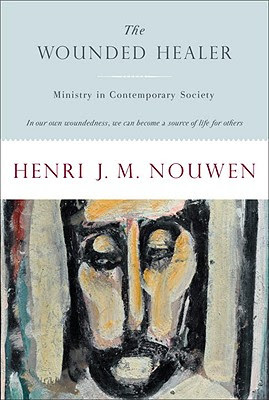 This is the final book that was a required reading for my spring course at Tozer Seminary called: Suffering and Healing. This book has some great wisdom found it in about spiritual healing that the believer needs to engage in. I would consider this book the most helpful, in my opinion, of the required texts I read. I am not saying that the other books are unworthy but I am saying that this book tends to speak my language. I enjoy having a plan and being able to think through steps to achieve that plan. Wardle lays out some steps for healing that he has used in his ministry so you know the plan is something that has been tried and tested. 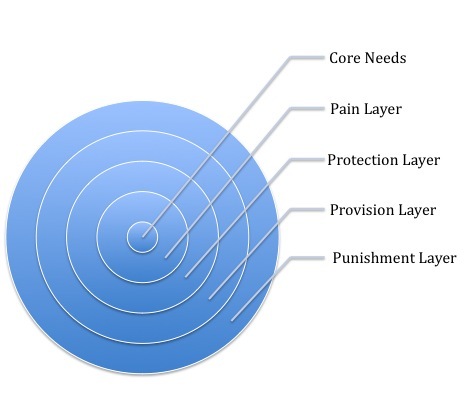 This model took me a while to understand but has helped me as I am dealing with unmet core needs from my childhood. 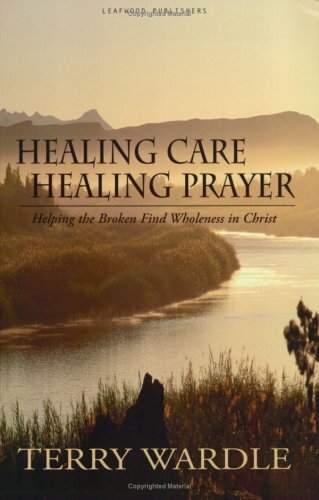 If you are seeking healing from the pain and suffering in your life then I would recommend this book! About three weeks ago a man stopped by my office and gave me some promo material for the new movie that was coming out called: "Soul Surfer". To be honest, I am not one who is typically interested in Christian movies. I tend to think the cinematography can be cheesy. I heard that this movie was going to be different and I decided that I needed to go see it and have some students come with. Last night I went and saw this movie with a few students and a few leaders and I have to say that I was amazed at how good this movie was! Now I have to share that the story touched home for me and there were times that I couldn't help but think: "What if something like that happened to one of my little girls?" The movie has the theme that I love to see: Don't quit! Hopefully you have heard Bethany's story and how she was bit by a shark and lost her arm. I am so impressed at this girl and how she continues to battle in life without quitting because most people would have. Bethany looses her arm and continues to surf. The movie does well at portraying the pain that she would have to endure with the loss of her love of surfing and how to get that back. I appreciate how they show that Bethany questioned her faith, and God, in this movie. I think its more normal than not to question your faith in a situation like this one and I appreciate that the producer added this into the movie. Every single one of us is going to have pain and suffering in our life; the question is what will you do with that pain? Bethany chose to not quit surfing and now she is a pro! I would definitely recommend that you go see this movie and her Bethany's story. 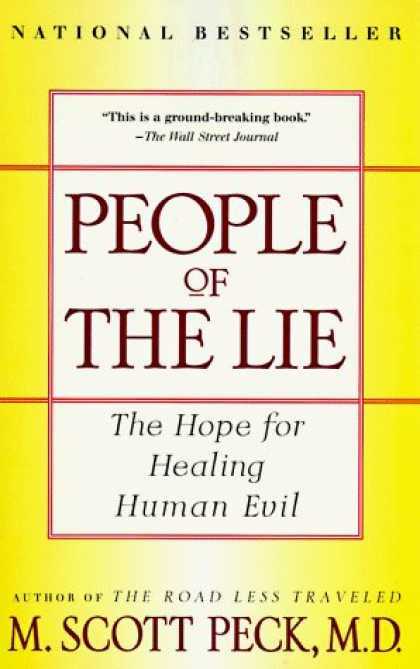 Author: M. Scott Peck, M.D. 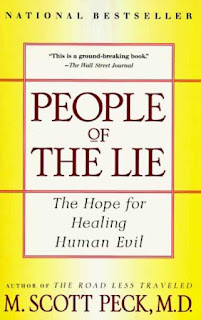 People of the Lie is another required text for the course I am currently completing for seminary titled: "Suffering and Healing". Now the course has rocked me and this book really hit me hard in a few places. Peck became a Christian later in life but has been a counselor for most of his professional career. Peck shares some of the cases that he has encountered in his years of counseling and I have to say that some of them are difficult to read. Essentially Peck outlines how we live in a world that has been effected with evil and because of that it is so important for us, Christians, to live out our faith. Peck shares stories about how people are partners in evil. There is an account of parents who treat their child in a manipulative way. There is a female who has multiple issues that lead her to have inappropriate thoughts toward Peck and the list goes on. If you have some time and you want to be stretched in your thinking then I totally recommend this book. If you can be sensitive to the pain that we encounter in life and that is tough for you to handle then I would encourage you to read this book and face that pain head on. The book will stretch your thinking but hopefully make you aware to what you encounter and the evil that lies behind that. Last weekend we had our 9th annual student ministry garage sale. This was the 7th garage sale that I have been involved in at our church. When I was first informed about the garage sale I was a bit skeptical and curious about how this would work. The basic concept is that we ask members in the church, and people in the community, to donate their gently used items to our garage sale. We get a place to store these items for about four weeks prior to the sale. The week of the sale is just all garage sale; picking up large donations, setting up the sale, selling items and then cleaning up our church. 1) I felt like we had less "high ticket items"
When it was all said and done we have made over $7500 to help sends students to camp so far! I may have times that I get discouraged but I need to remember that God knows all our needs. I have to trust, and pray, that God will bring in all the money for students to go to camp. I also get encouraged because I was able to spend hours with students selling stuff, picking up items and cleaning up the church. I had extra time to spend with our team and hang out with new people from our church. I also get to see this amazing family in our church (Kevin and Nancy Rock) do what they love and help lead this sale! I may have had a discouragement about some of the sale but overall I am thankful for the amount of money we raised and how much time I was able to spend with students.